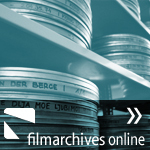 Since this year Lithuanian Central State Archive has been directly involved in the pilot action MIDAS – Moving Image Database for Access and Re-use of European film collections (www.midas-film.org). The MIDAS project is part of the MEDIA PLUS programme of the European Union and contributes to the specific objectives of the Networked Databases priority in the Pilot Project scheme. MIDAS has officially started in 2006 and will run until 15 January, 2009. Since then 18 institutions from different countries have been involved in the pilot action organised be German Film Institution (DIF). MIDAS proposes the creation of a common platform and web-based “gateway” allowing the search throughout a growing number of individual databases belonging to different archives and collections through all over the Europe. Increased efforts will be made to build links to other multi-archival systems and Internet search systems by establishing the MIDAS system as a data provider. A promising groundwork has been laid for achieving the original goal of associating 80 % of all European moving image archives within the first three year after project implementation. A major goal of MIDAS III in terms of catalogue enrichment and system development will be to add pictures (film stills) to the site where technically and legally possible. Lithuanian Central State Archive as a new MIDAS III partner will provide metadata of 1000 films from its collection “Soviet Lithuania” comprising period until 1971. Web site content descriptions have been presented in national and English languages overcoming the language barrier. Search results will provide available information on archival materials having historical and cultural value and held in a number of collections across Europe.